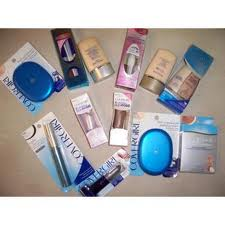 Free Scarf with Purchase CoverGirl Cosmetic for $0.67 at Rite Aid ! Rite Aid is having a sale right now When you buy 5 Covergirl Cosmetics.Combine the Rite aid Deal with Manufacturer Coupon to crab this item for $0.67 + Free Scarf! 1.Buy 4 CoverGirl LipSlicks Tinted Lip Balm for $5.99. 2.Buy 1 CoverGirl Eye Enhancer for $3.39. Free Summer’s Eve Wash at Rite Aid! Free MAM Silicone Pacifiers, 2 pk at Target!